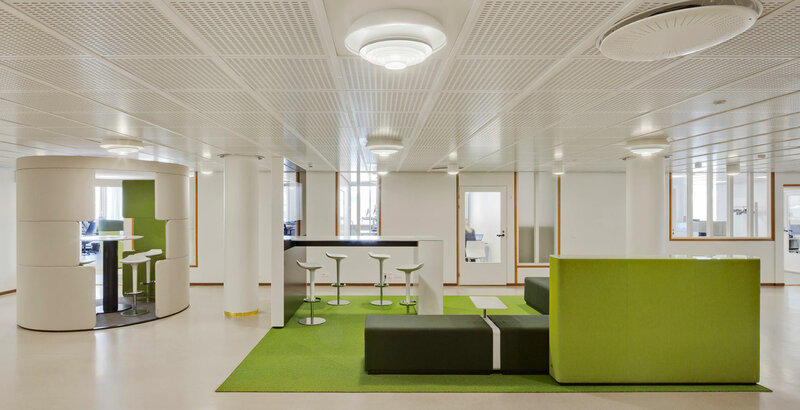 In the summer of 2011 Stora Enso ordered us to design the alteration of their headquarters into an open-plan communicative working space according to the global Rethink-strategy. 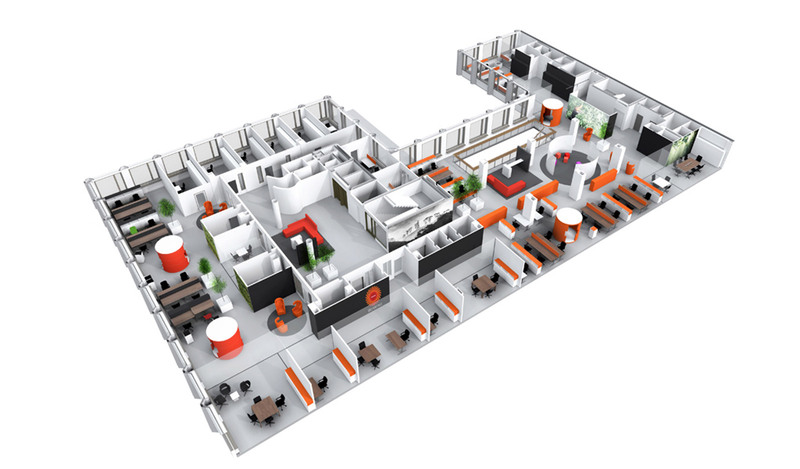 A modern office is a physical, virtual and social series of spaces that can be altered according to the changes in the organisation and its assignments. 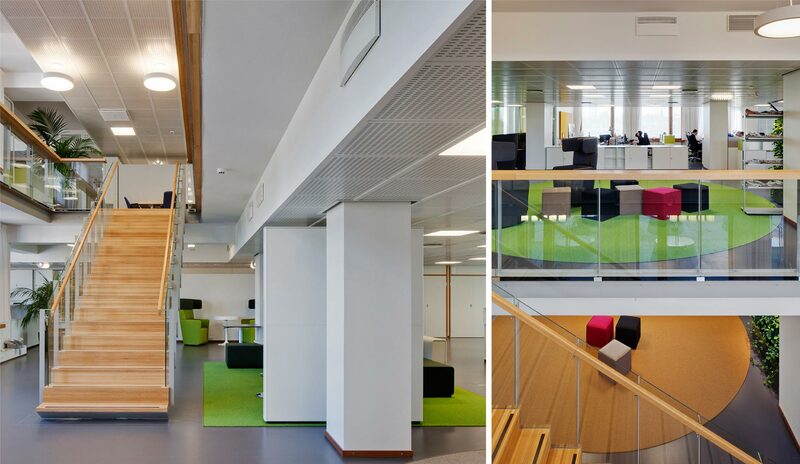 While the use of space is optimized it is possible to create new inspiring places for both focused individual work and teamwork with encounters. 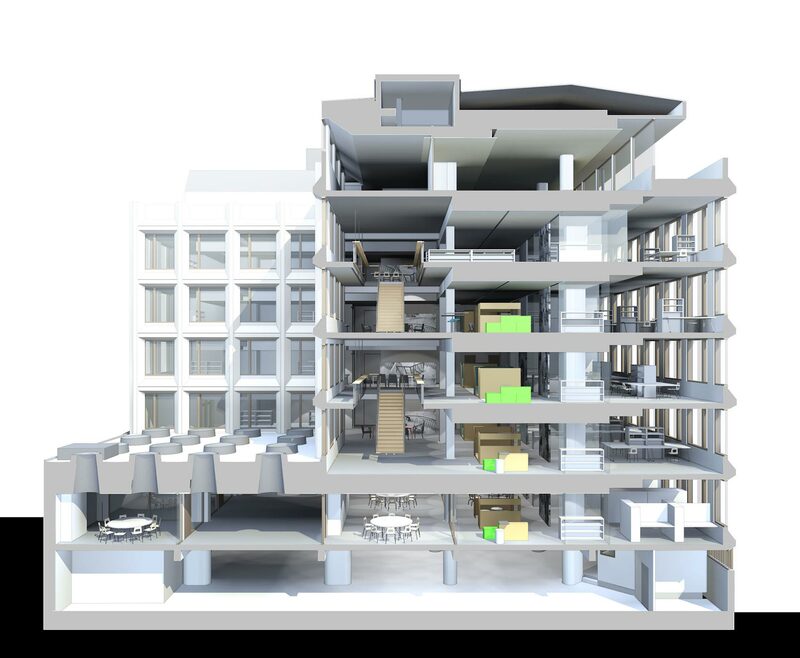 Nowadays good ergonomics comprises a functional physical enviroment as well as a pleasant soundscape and visual environment. 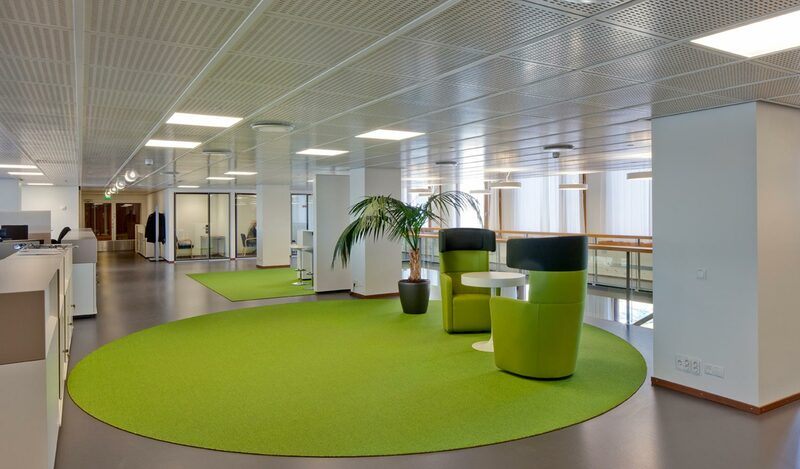 Good office design springs from the company’s image and the goals of their action. The result is always a unique totality. 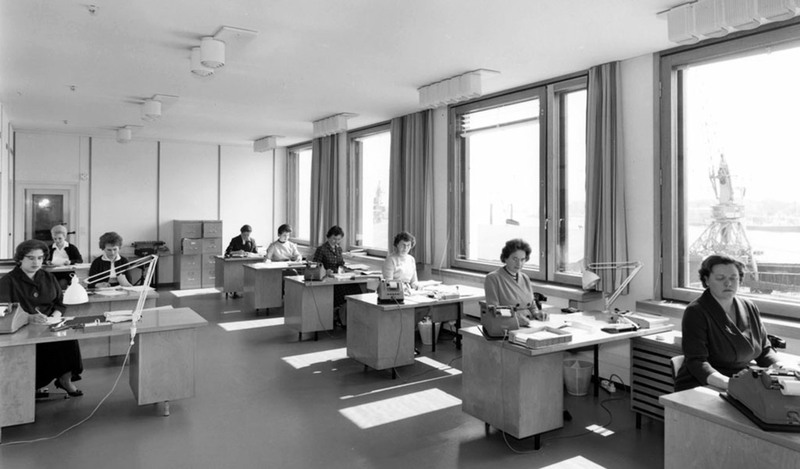 The investments in a functional working environment are also profitable. An employee that enjoys their working environment is a part of the company’s visibility in the society and marketing. Taking care of the comfortability of visitors is also a positive image of the company for the society. 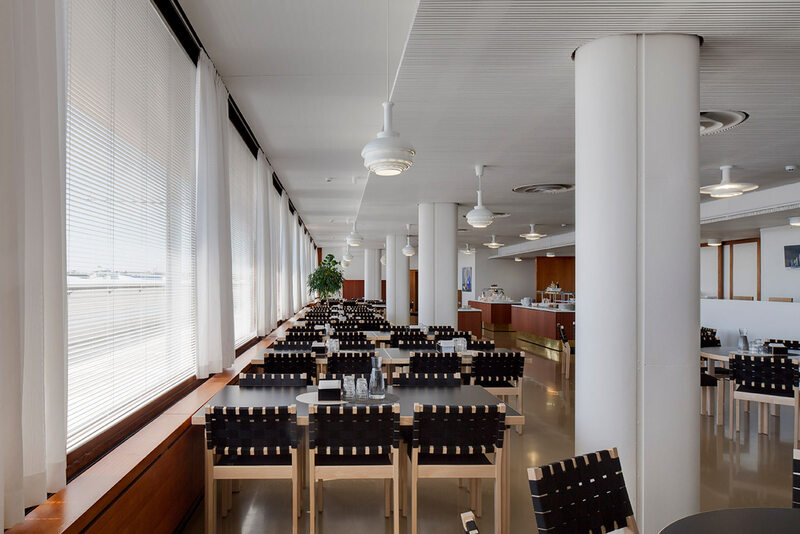 The building was designed by Alvar Aalto and completed in 1962. 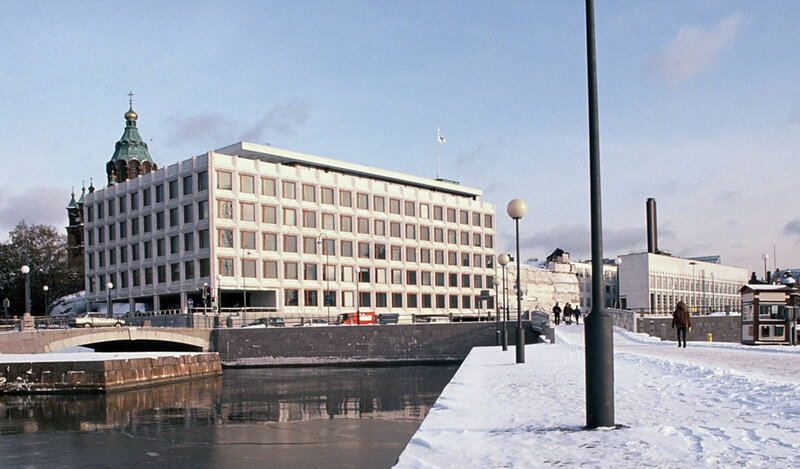 It is protected in the city plan and by the decision of the Ministry of the Environment. 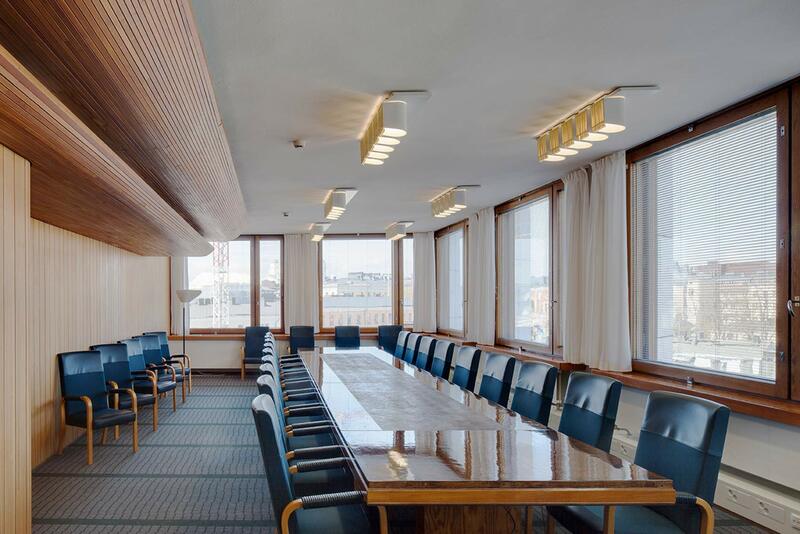 The renovation plans were made in close co-operation with the National Board of the Antiquities and the Alvar Aalto Museum Architectural Heritage Department. 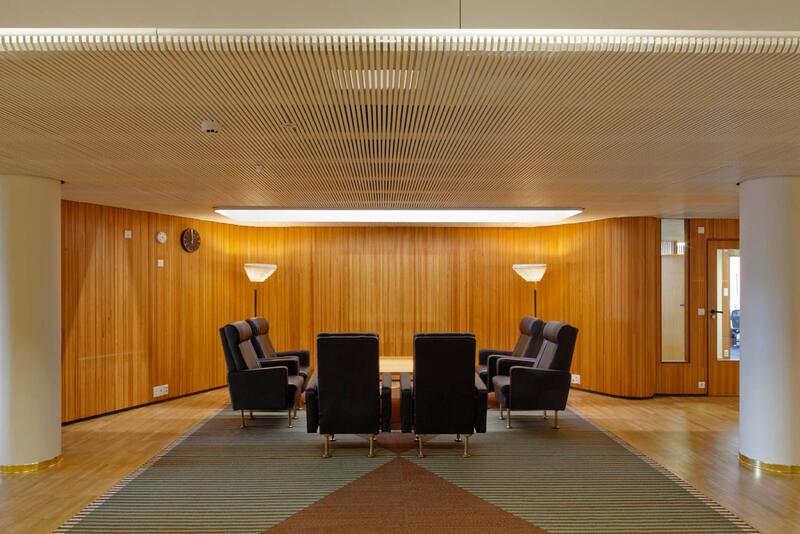 The building services were fully redone during the renovation. Building work was started in February 2011 and completed in the spring of 2013.